15th and Caledonia streets. Screenshot via Google maps. A 19-year-old man died from a gunshot wound he sustained early Saturday morning in the Mission, police said. The teen was shot in the upper body by a suspect on 16th and Caledonia streets sometime before 3 a.m., said police department spokesman Albie Ezparza. 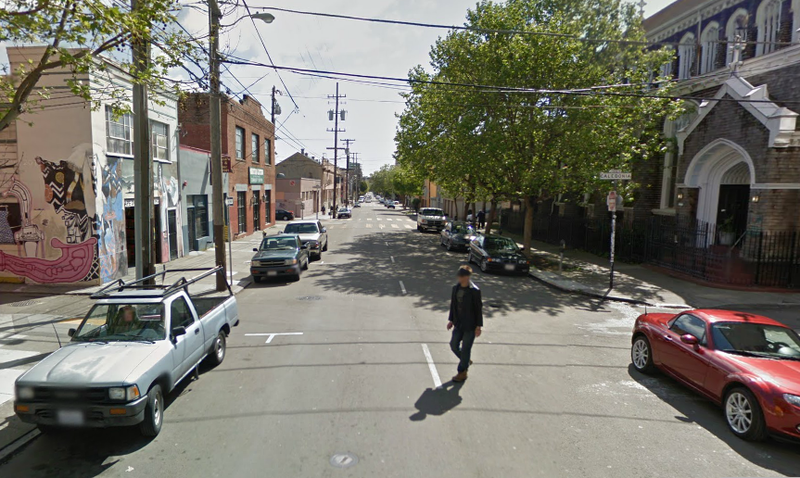 After he was wounded, the victim ran toward 15th and Valencia streets, where he collapsed. He was pronounced dead at a hospital, Ezparza said. The suspects fled in a car heading east on 16th Street. There is no description of the suspects at this time, Ezparza said. The shooting does not appear to have been gang-related, Ezparza said. An earlier version of this article erroneously stated that Ezparza had said the incident was gang-related. r.i.p to my cuzzin realest dude that ever lived!he was only 19 not 22!its sad because he was changing his ways .he was kindest person youll meet, well mannered and, smart contrary to what people that didnt know him thought about him.he just made friends with the wrong crowd smh.still shookin up but when you do to much bad things everything will catch up so to all the youngsters dont hang around the wrong crowd and be weak minded!lost to many people that were good people but made bad descisions on who they hung around with.R.I.P to goofy aka boo as we called him in the family well always love and miss you. Sorry for you’re loss. We all make mistakes when we’re young. No one should have to pay such a heavy price for them. What is going on around 15th street lately? It seems like there have been many murders on that street in the past year. rip to a young soldier changing his ways. didnt know dude but that is sad. another latino lost to violence of the street. we need to stop killing eachother, our own people and need to unite! you can move as many white people to the mission as you want but the ghetto will remain.